Looks like I’m DJing with Sebastian Drums this Saturday in NYC. Electric Beach is a weekly Saturday Night EDM Party at Santos Party House in Downtown NY. Each week they bring in major and up-and-coming EDM Producers from all around the world. This weekend, they are bringing me. International DJ Sebastien Drums is no stranger to live performances. He is best known for his mega-hit “My Feelings For You,” coproduced by the infamous Avicii. I will be supporting Sebastian as well as premiering 2 of my new singles that will be released in 2013. Check out our recent mixes below in this Joonbug article. 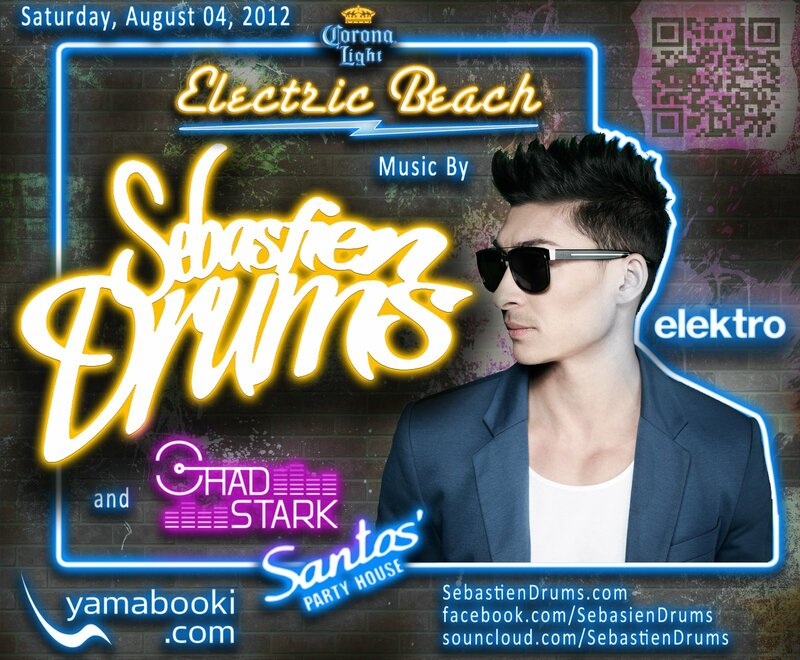 Sebastien Drums and Chad Stark To Headline Electric Beach.